My favourites from Day 3. 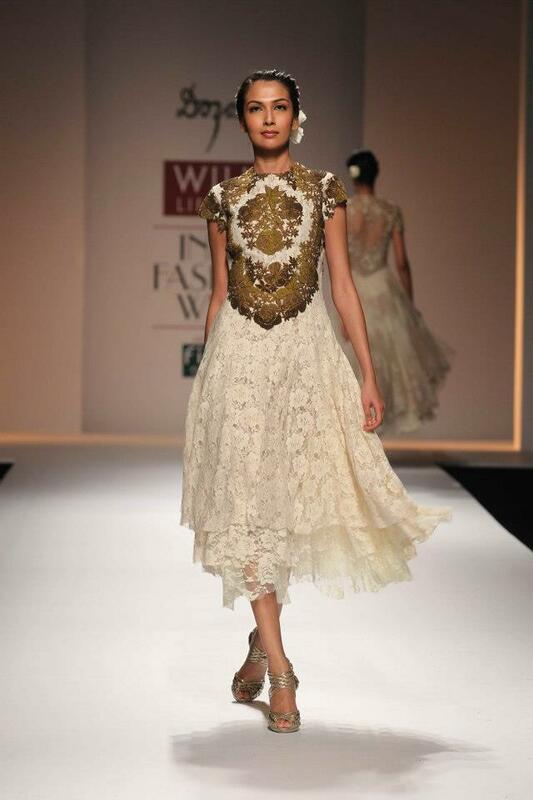 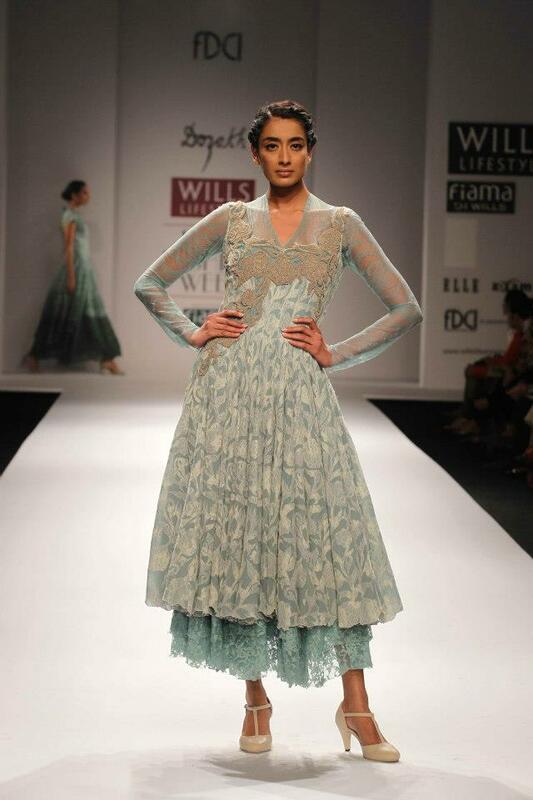 Dozakh by Kartikeya and Isha - I love the the lace in this collection. 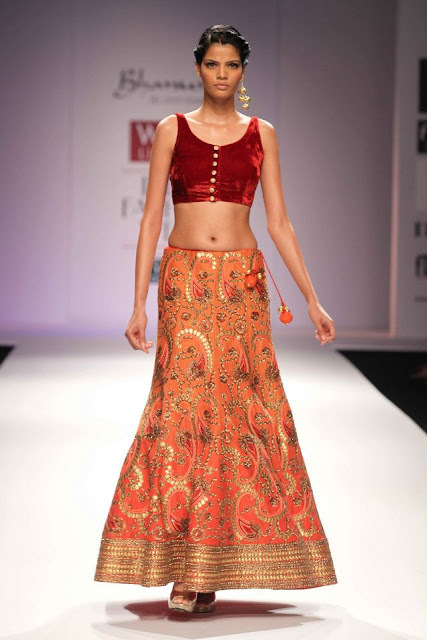 The full skirts are beautiful. 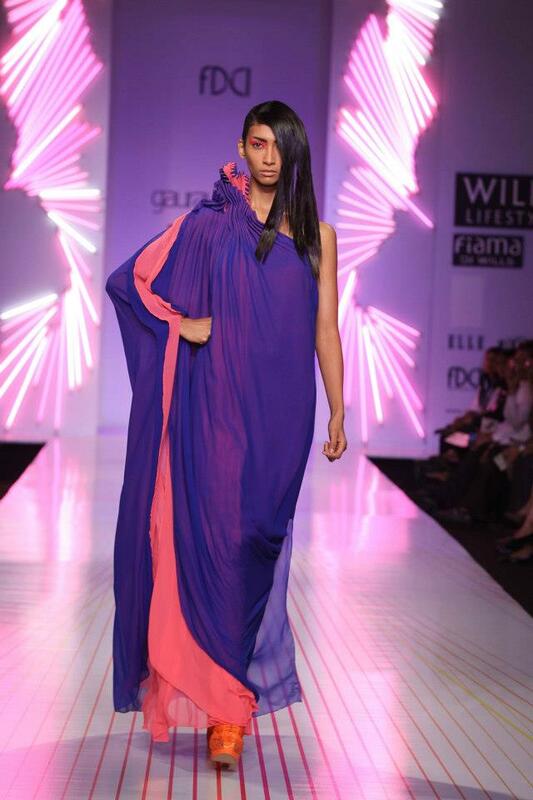 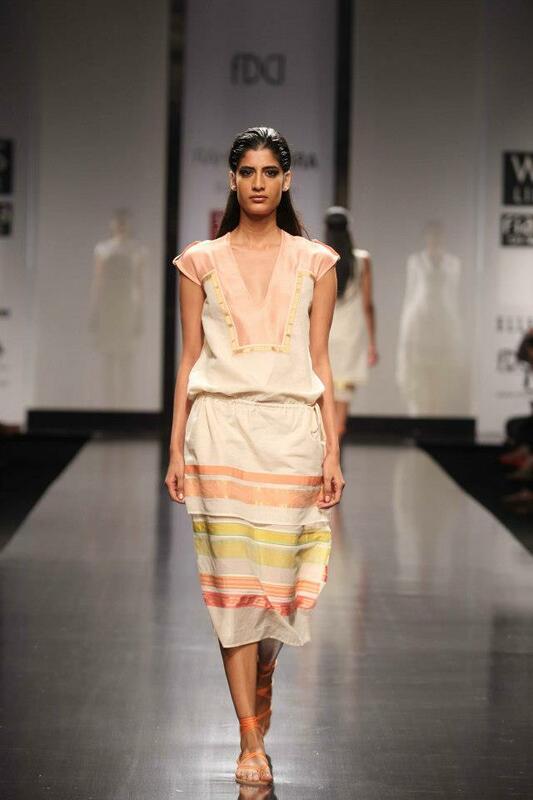 Bhanuni by Jyoti Sharma - Maxis and minis - best way to describe this collection. The bridal inspired lenghas are stunning; the mini- skirts are alright, but would be fabulous if the skirt was longer! 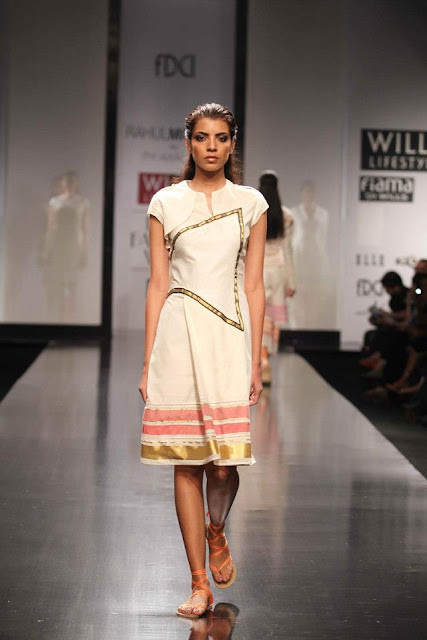 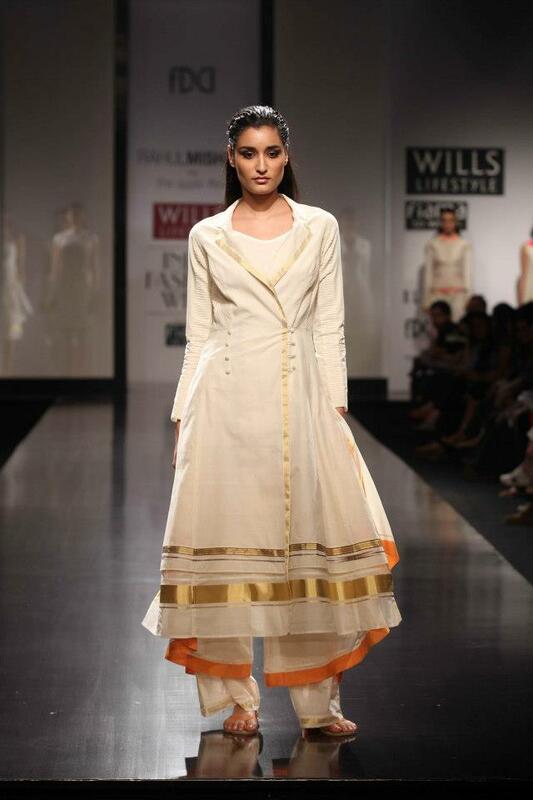 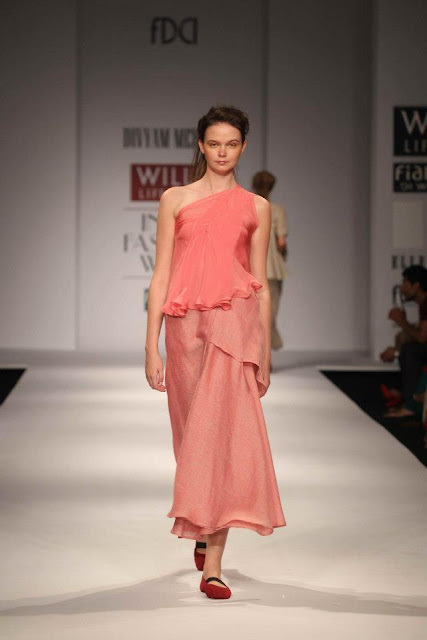 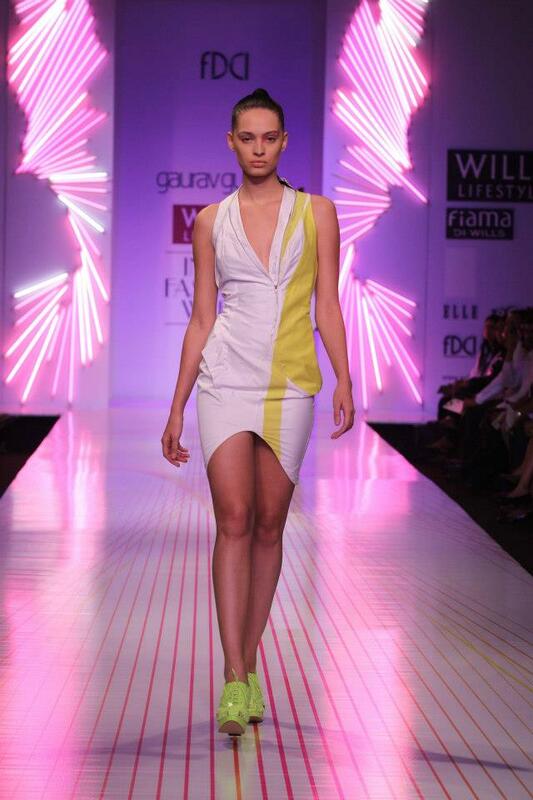 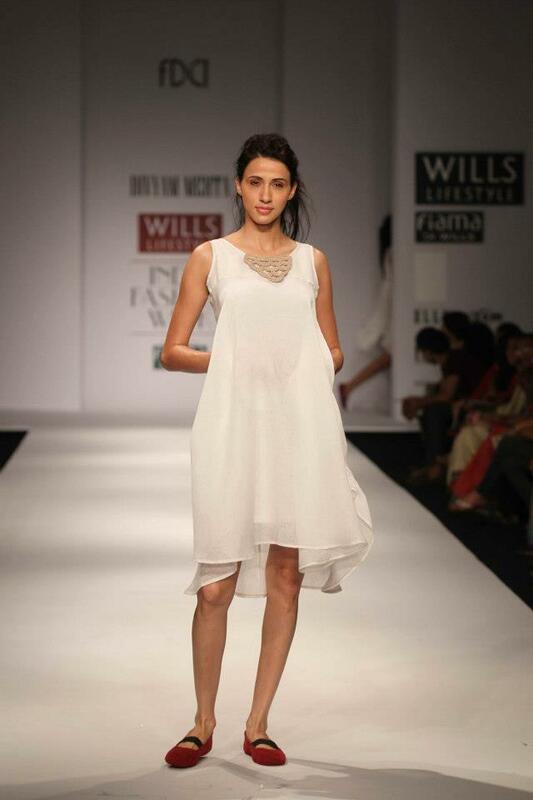 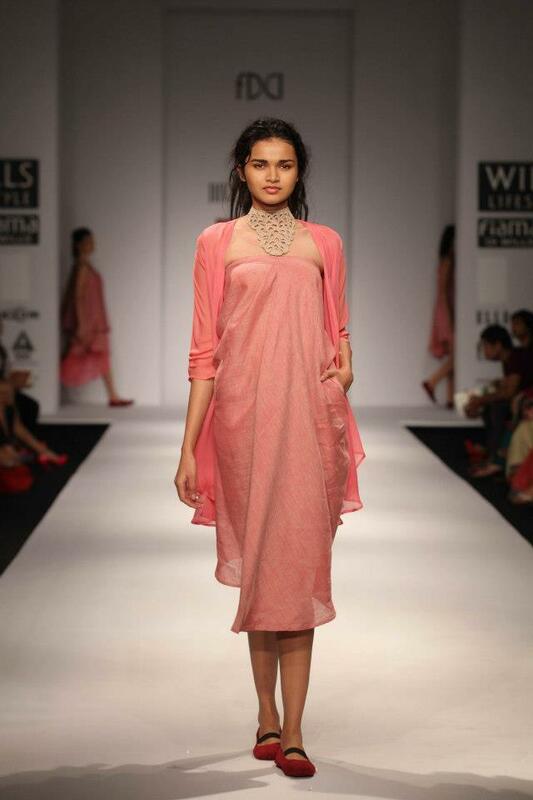 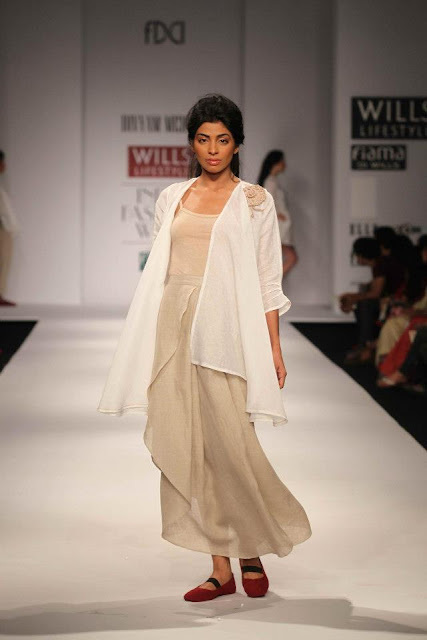 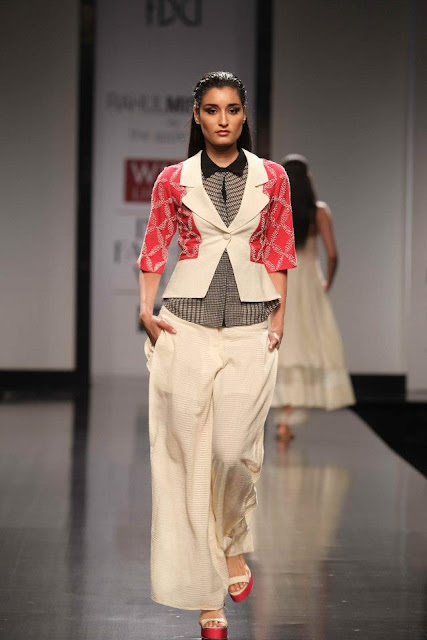 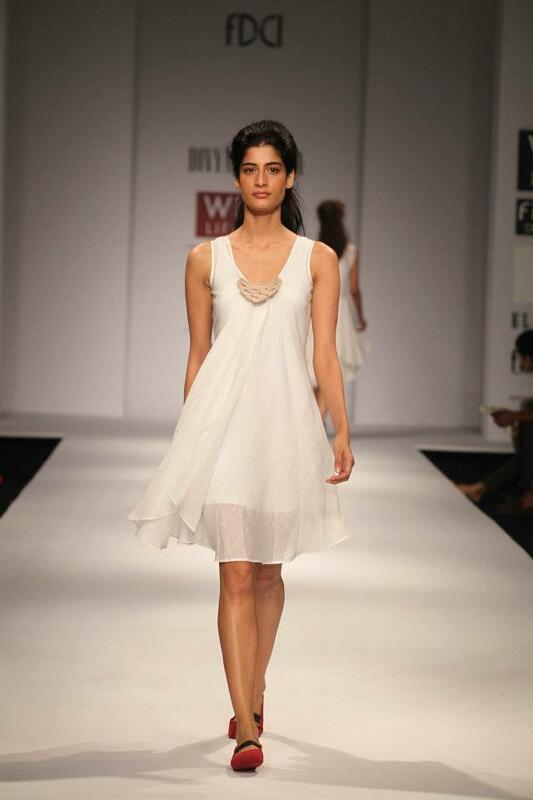 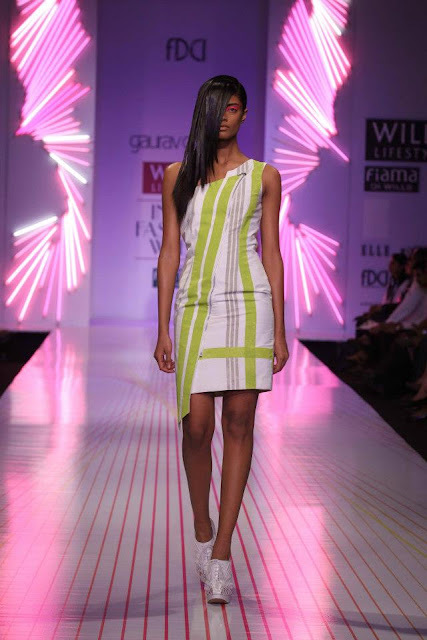 Divyam Mehta - Monochromatic collection with pinks and whites. 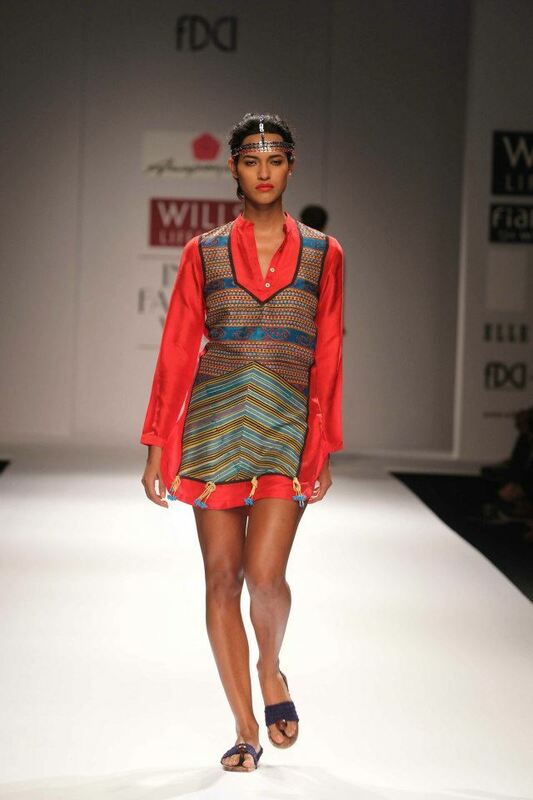 Love the fabrics, great for next summer. 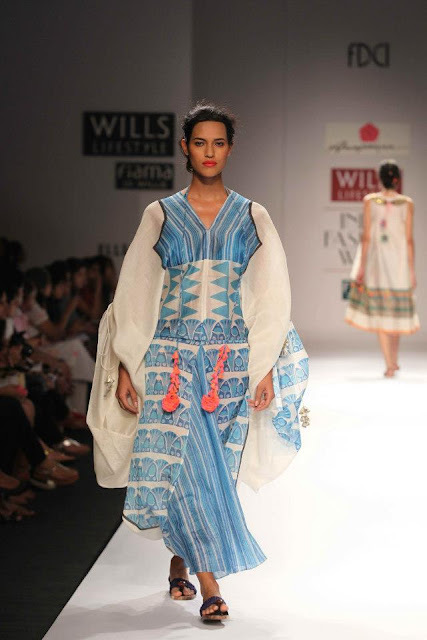 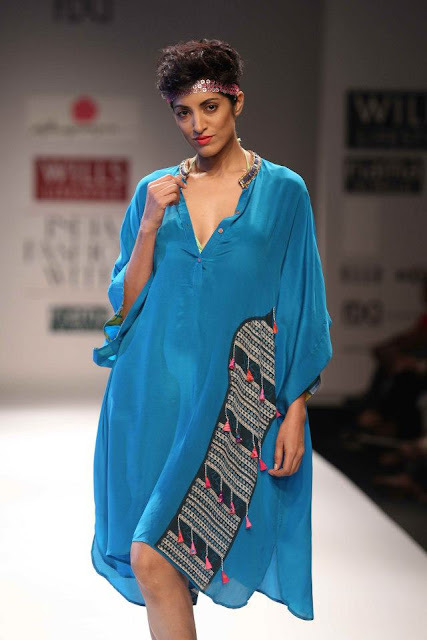 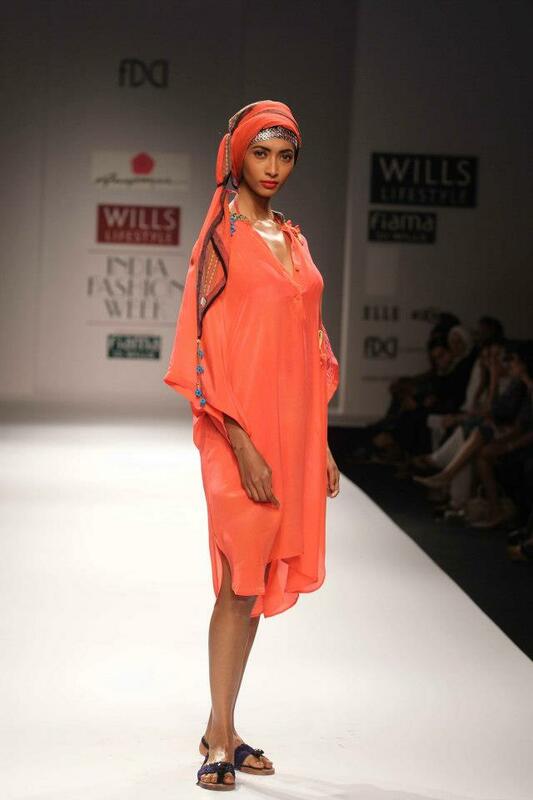 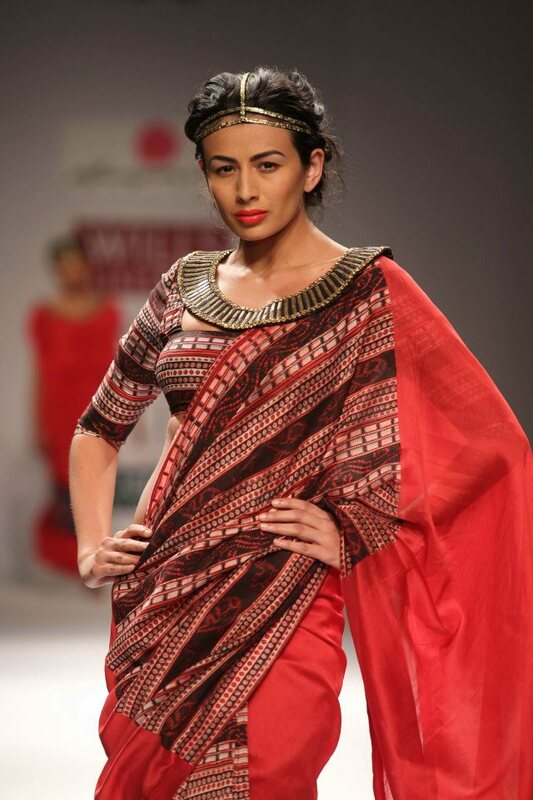 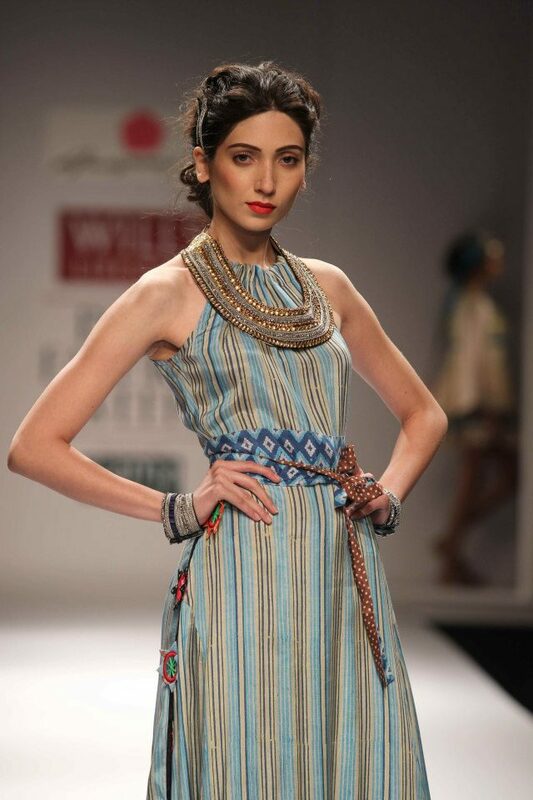 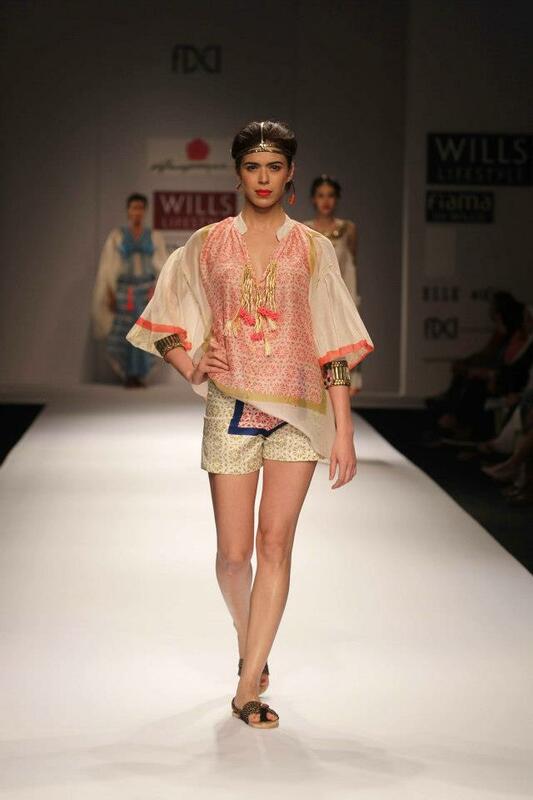 Anupamaa by Anupama Dayal - This collection has a middle Eastern tribal feel to it. 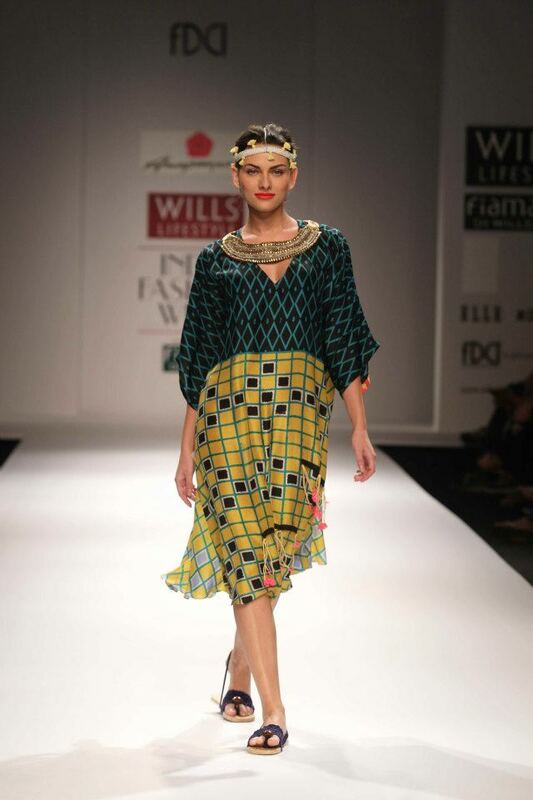 I love the prints and fabrics. 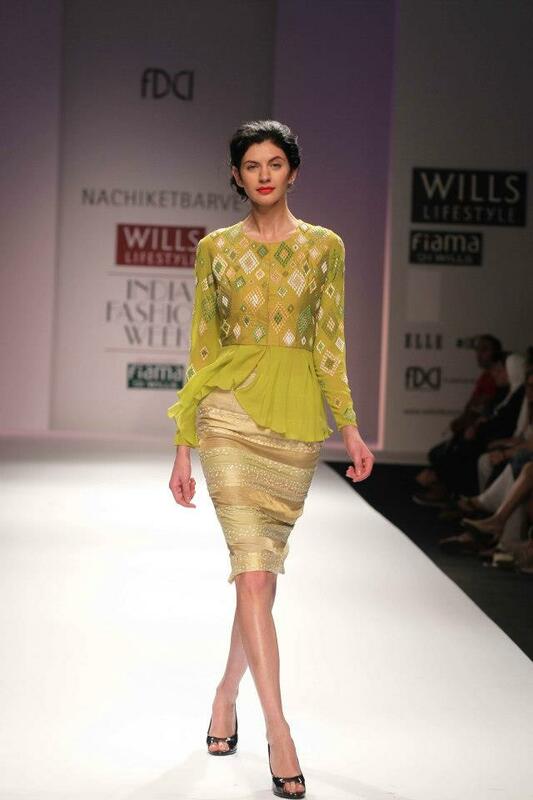 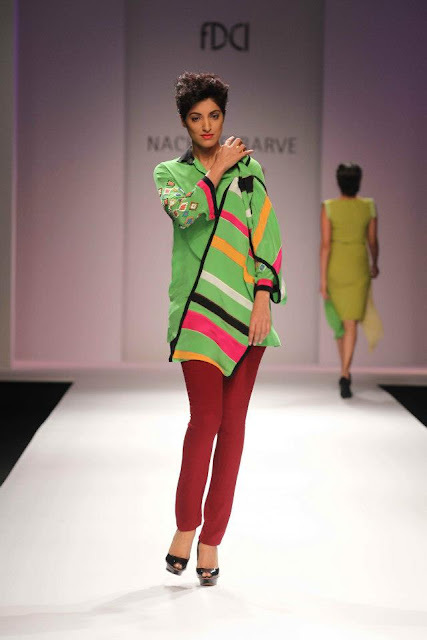 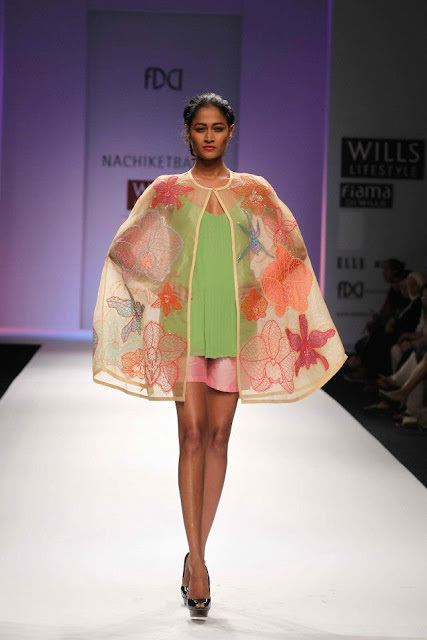 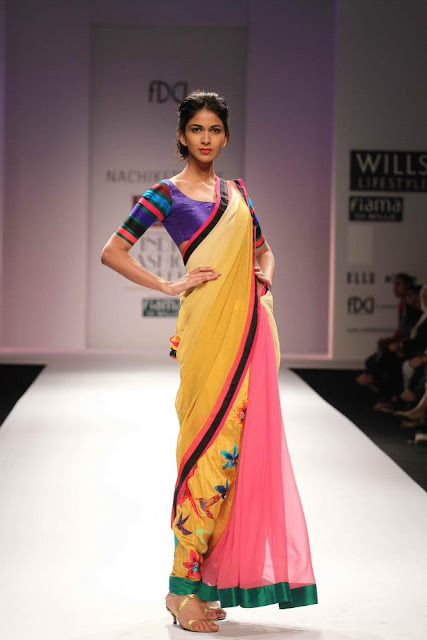 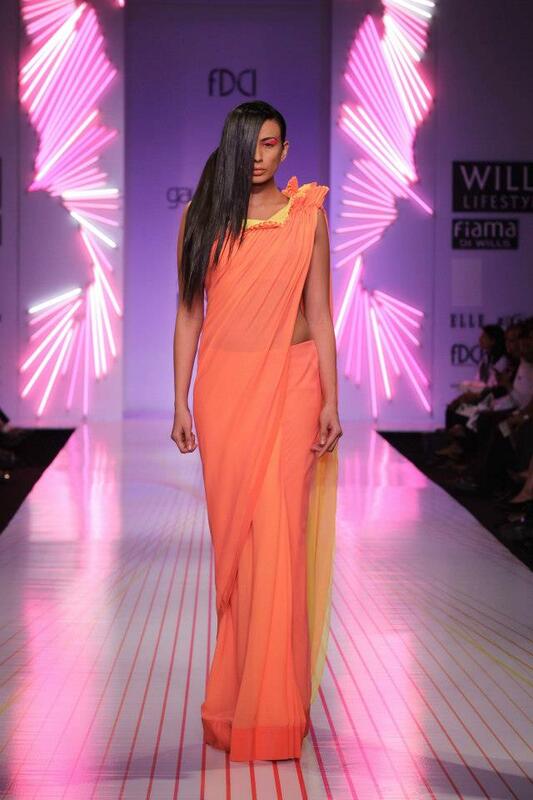 Nachiket Barve - Great fusion looks, beautiful colours! 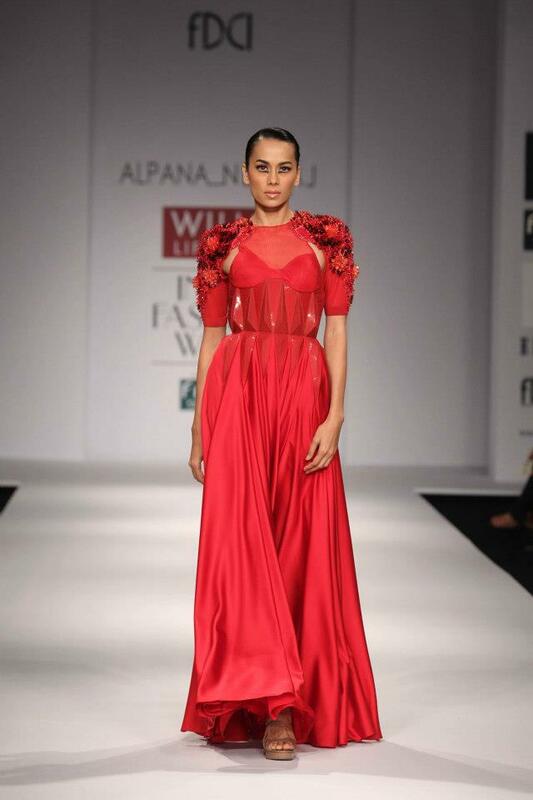 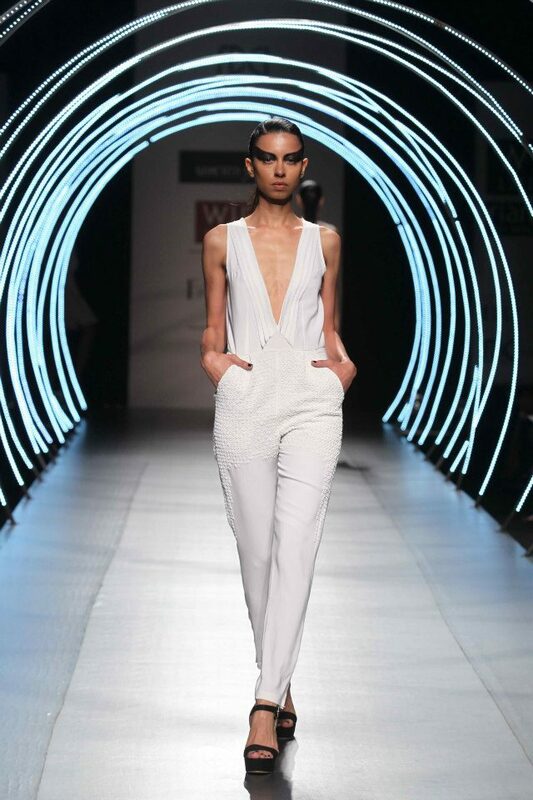 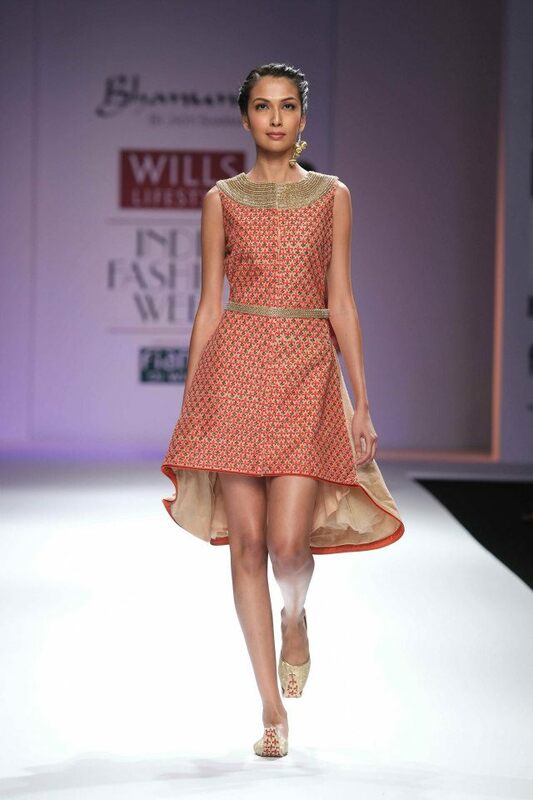 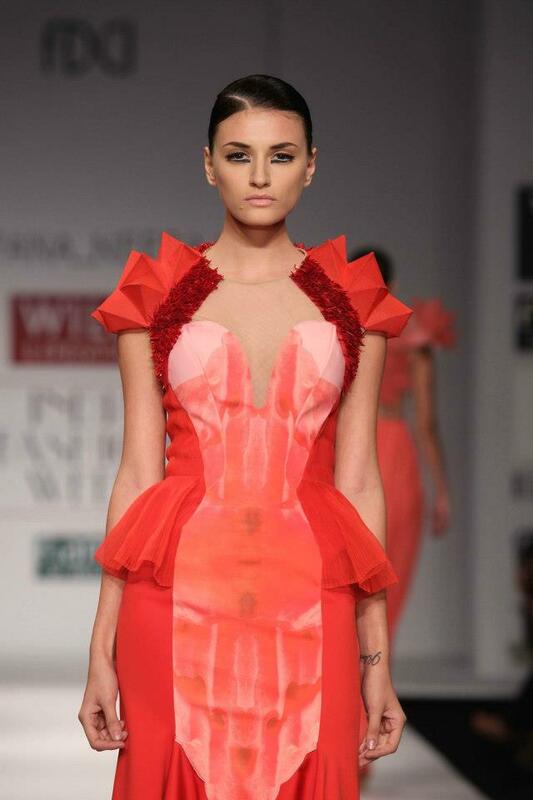 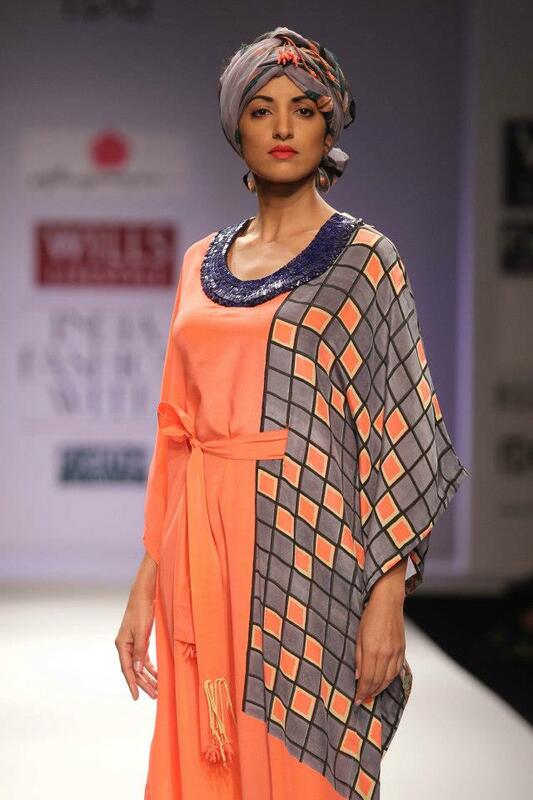 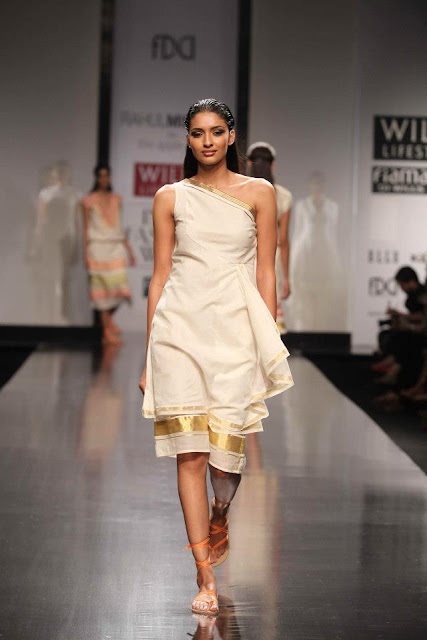 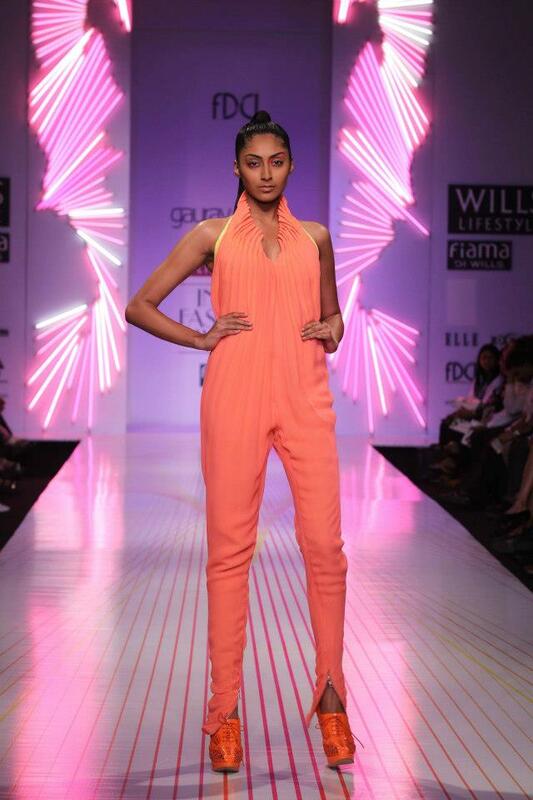 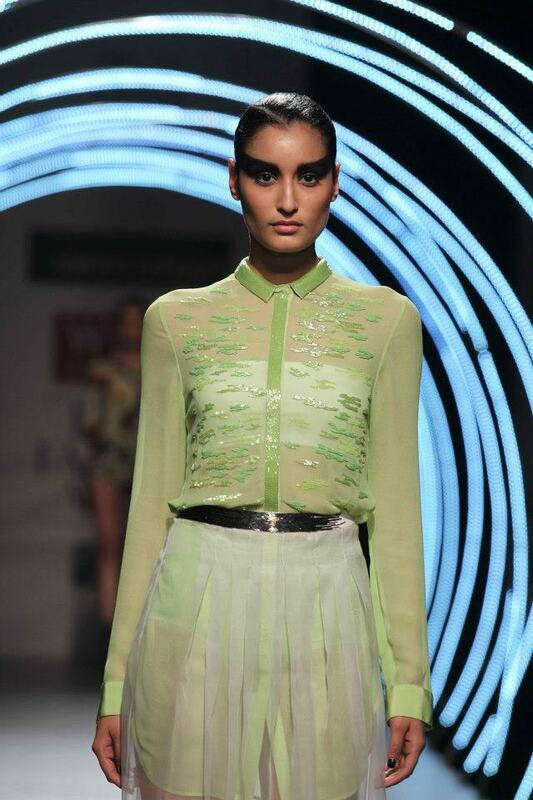 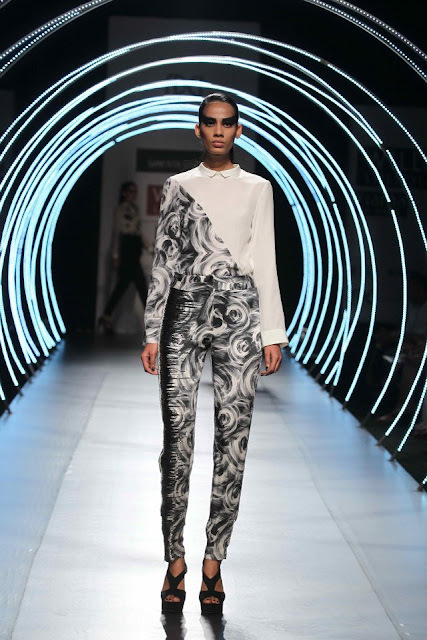 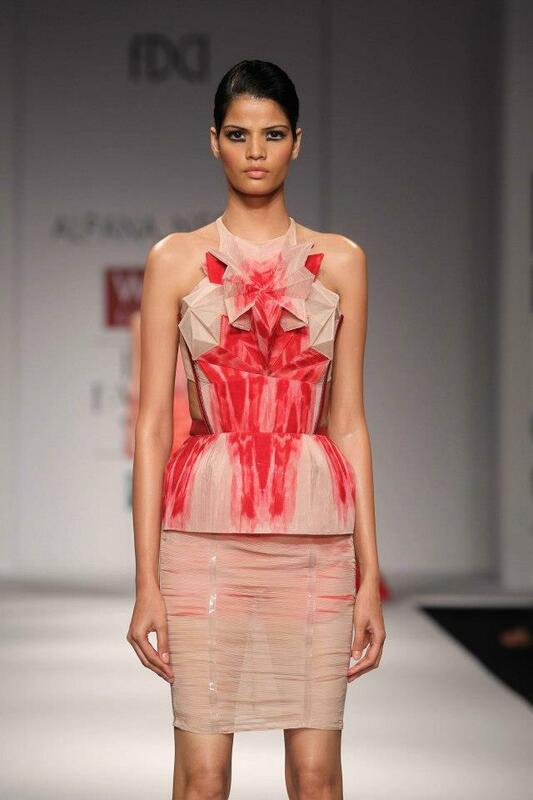 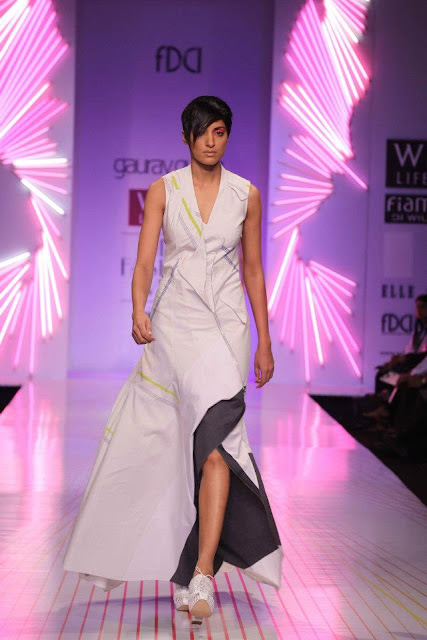 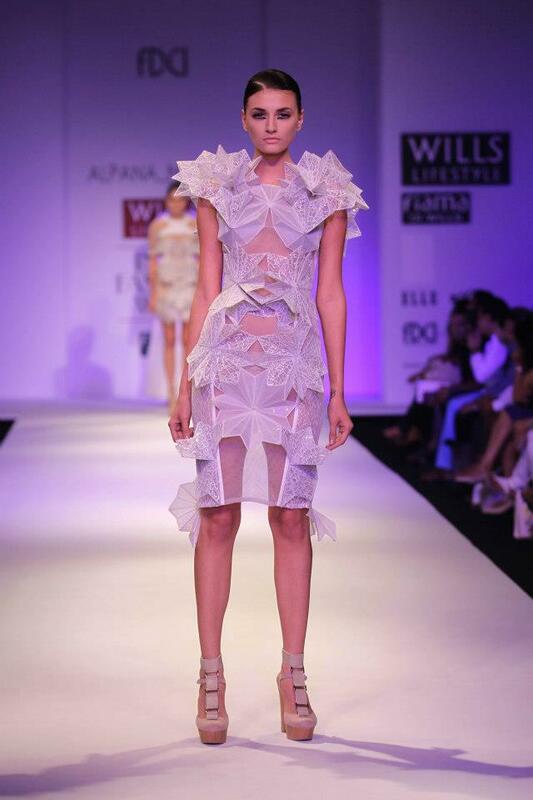 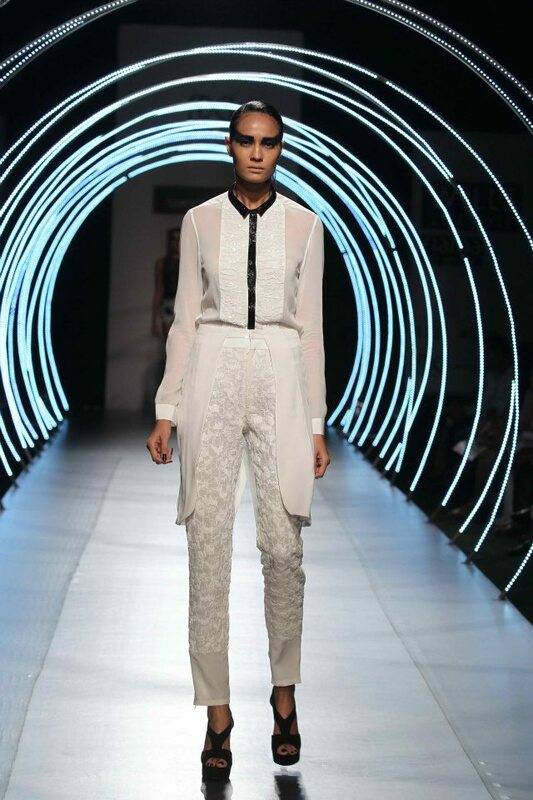 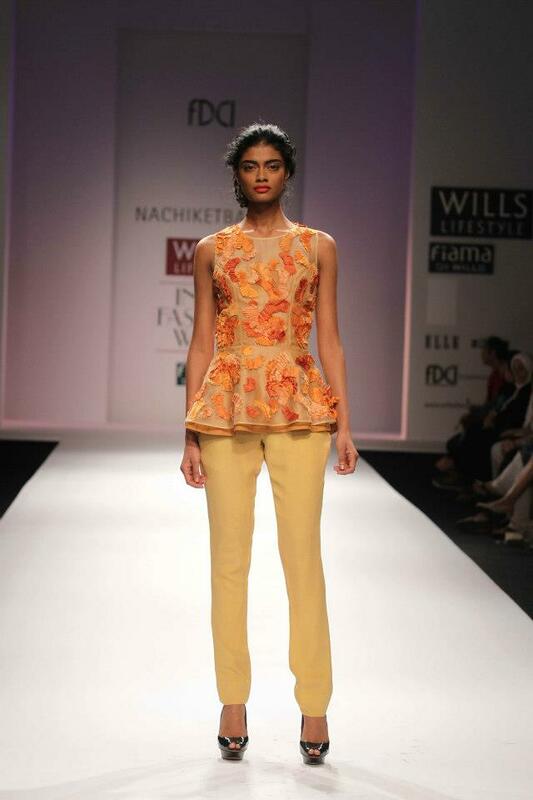 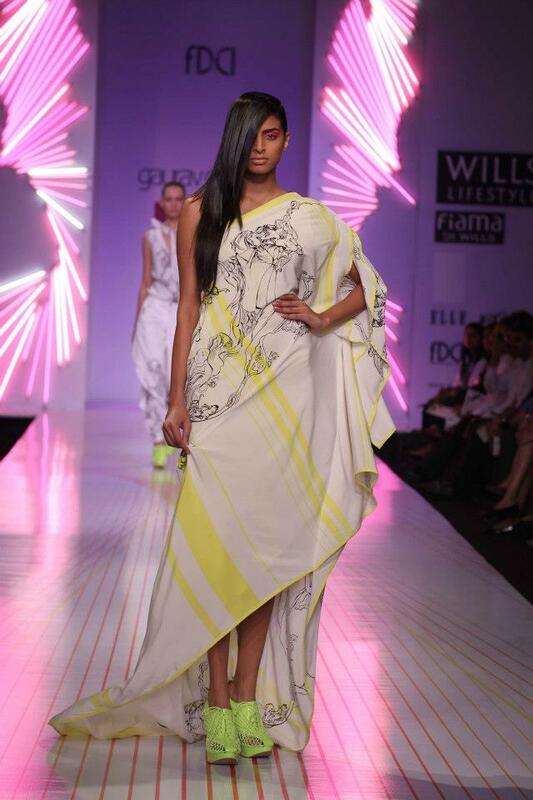 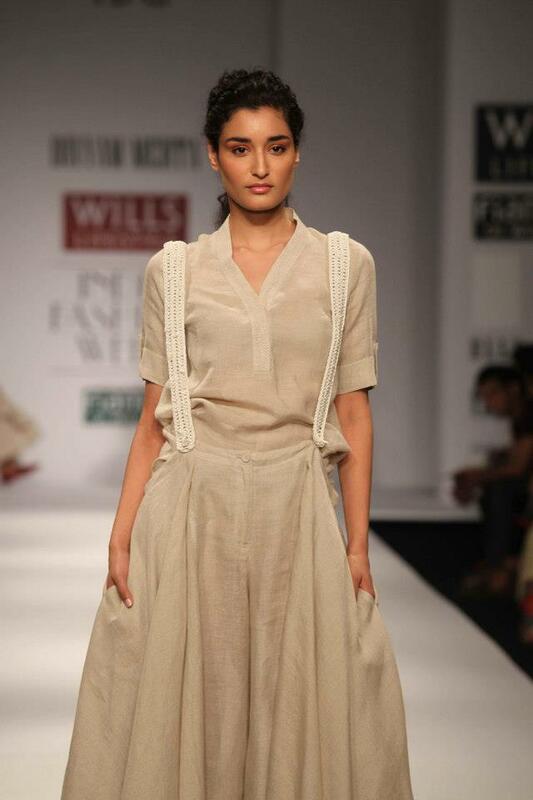 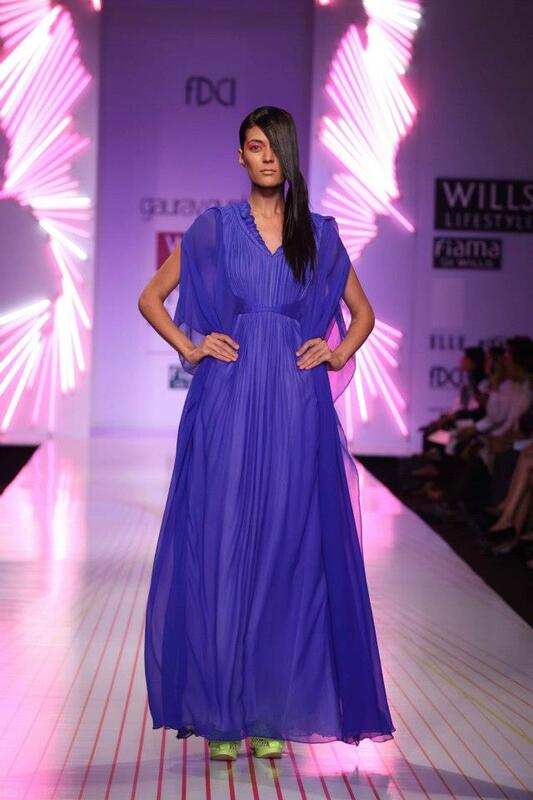 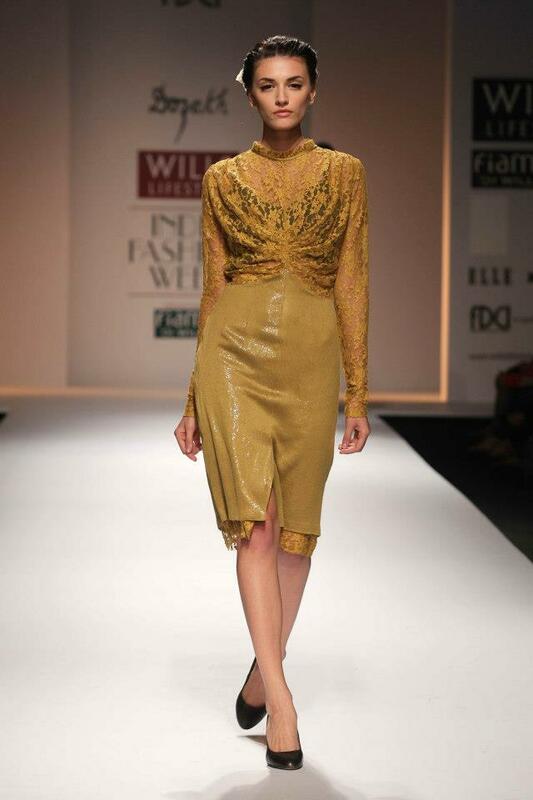 Alpana and Neeraj - Love the imagination in this collection! 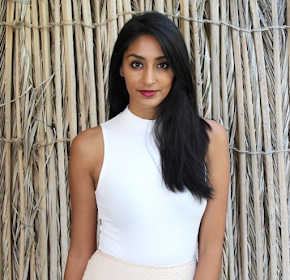 It's great seeing collections like this on the Indian runways! 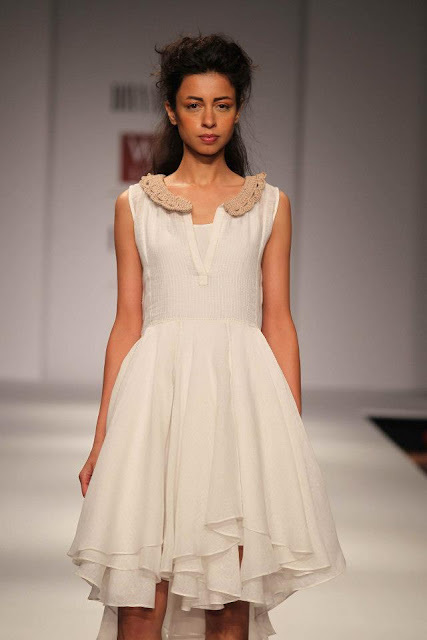 Rahul Mishra - A very simple and classic collection. 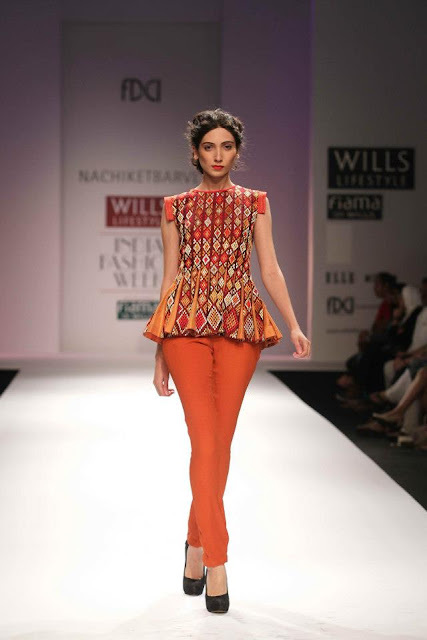 Beautiful gold and orange borders are used throughout. 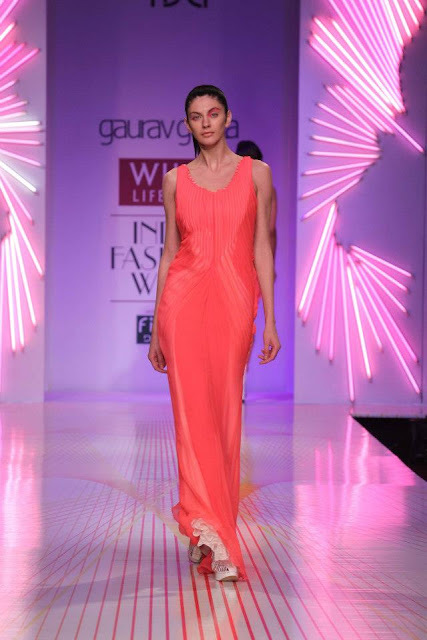 Gaurav Gupta - A funky collection of neon dresses and sarees. Will definitely be taking tips from this collection for next Spring and Summer. 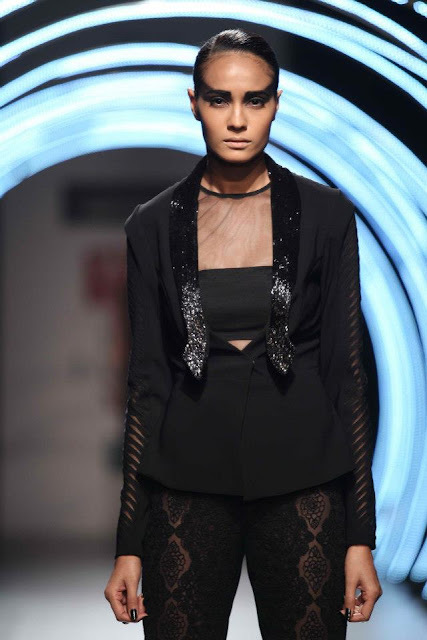 Namrata Joshipura - Great details in this collection in the leather, sheer fabrics and asymmetrical lines.